Brexit negotiations resumed Tuesday in Brussels as fresh splits rocked British Prime Minister Theresa May’s Conservative party, with one pro-European lawmaker urging her to expel hardline eurosceptics. MP Anna Soubry said the government was “in hock to 35 hard ideological Brexiteers” who she said were pursuing an economically damaging approach to Britain’s withdrawal from the European Union. “It is about time Theresa stood up to them and slung ’em out,” she told the BBC late Monday. And at an event later in Manchester, northwest England, May insisted the Conservatives were “focused” on implementing the 2016 referendum. “The party and the government are focused on one very clear thing that we have to do, which is what the British people asked us to do, which is to leave the EU,” she said. She repeated that she wanted a “good deal” for trade in goods and services with the EU after Brexit, saying she was “optimistic”. 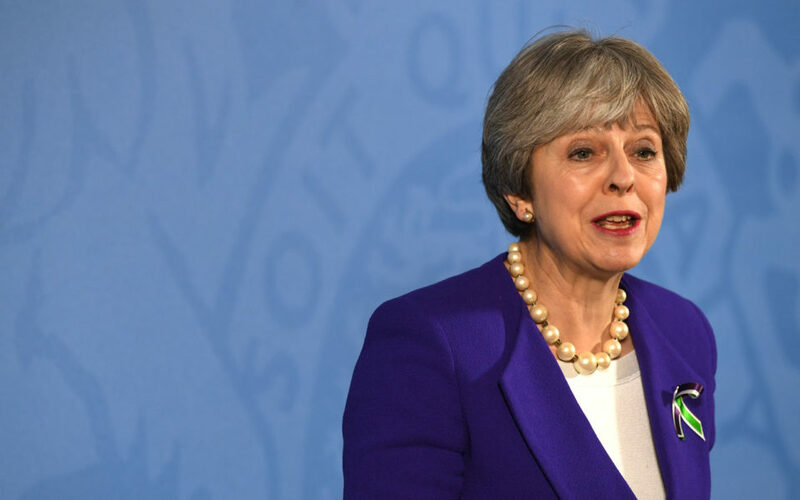 Eurosceptic Conservative MPs are pressing May to maintain her plans to leave the EU’s single market and customs union, and pursue a fully independent trade policy. But the EU’s chief negotiator, Michel Barnier, warned after meeting the prime minister in London on Monday that this was incompatible with her hopes for trade that will be as frictionless as possible. “Without customs union and outside the single market, barriers to trade in goods and services are unavoidable. Time has come to make a choice,” he said. Britain and the EU reached an interim deal in December on three key separation issues — the financial settlement, the Irish border and the rights of EU citizens after Brexit. But the issue of the border between Northern Ireland, part of the UK, and EU-member Ireland will be revisited during discussions this week. The technical talks will also look at plans for a two-year transition after Brexit before Barnier holds a press conference on Friday.